What is Teva 832 Pill? Teva 832 Pill is a yellow round pill containing clonazepam, a prescription medication belonging to a group of drugs called as benzodiazepines. Teva 832 pills exert their effect primarily by the modulation and slowing down of brain activity which results in the production of a calming effect. Teva 832 comes in 2 forms; in yellow regular-release tablet which is taken usually 1 or 3 times a day, with or without food and the orally disintegrating tablets which are placed in the mouth and allowed to dissolve, with or without water. Teva 832 can slow your thinking and motor skills, Do not drive, operate heavy machinery, or do other dangerous activities until you know the effect of teva 832 on you and how your body responds to the medication. Taking Teva 832 in pregnancy may harm your unborn or developing baby. Using teva 832 during pregnancy puts your unborn child at risk for serious birth defects. These defects can happen as early as in the first month of pregnancy, even before you know you are pregnant. Some of the likely infant related risks associated with the use of teva 832 pill in pregnancy include: breathing problems, feeding problems, hypothermia, and withdrawal symptoms. In addition, teva 832 can pass into breast milk, it is strongly advised that you talk to your healthcare provider about the best way to feed your baby if you are currently on teva 832. 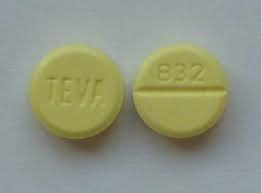 The street value of Yellow pill teva 832 has been on the rise largely due to its addictive nature and its tendency to cause dependence. Teva 832 is a brand of clonazepam a federally controlled substance (C-IV) in the United States and many countries around the world, as such it is illegal to use this medication or any other pharmaceutical preparation similar to teva 832 to get “high”. Inhaling or snorting teva 832 is also accompanied by several health risks and accompanying behavioral and mental health challenges. What is the difference between teva 832 and Xanax ? teva 832 and Xanax are on opposite ends of the spectrum when it comes to uses, how long each drug stays in the body. 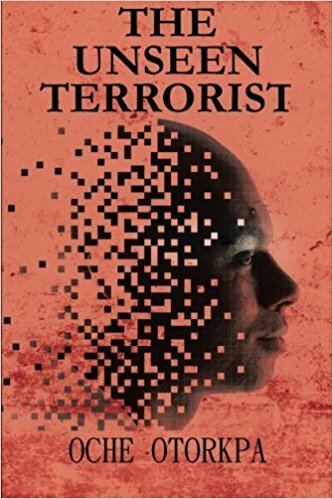 According to the University of Lausanne, the half-life of a drug is defined as the time it takes for half of the drug in the bloodstream to be eliminated. Similarly, the duration of action of a drug refers to the amount of time that it lasts in the body. Short-acting drugs usually have a short half-life, and vice versa. As a result, short-acting drugs are most likely to produce withdrawal symptoms more quickly. Xanax is classified as a short-acting drug with an average half-life of 11.2 hours while teva 832 on the other hand, has an average half-life of between 18 to 50 hours. Peak drug concentration for teva 832 pill is between one and four hours. If you exceed the dose of teva 832 call your healthcare provider or local Poison Control Center, or seek emergency medical attention immediately. People abuse Teva 832 (clonazepam) for many reasons. They want to make life less stressful, fall asleep more easily, relieve unmanaged pain, or experience a euphoric high. Teva 832 and other benzodiazepines are recommended for short-term use only because of the risks of tolerance, dependence, and addiction. Recreational users put their health and life at risk when they use this drug for longer periods of time, in large quantities, or without a doctors prescription. Users may also use the drug in unsafe ways. Teva 832 can be snorted or injected, but this is not how it is meant to be used. 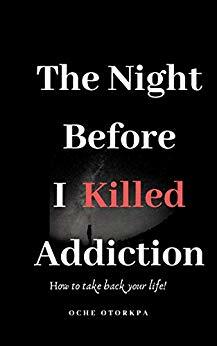 The more the drug is used, and the riskier ways in which it is used, the greater the risk of dependence, addiction, and serious health consequences. When the drug is misused, individuals may experience severe withdrawal symptoms when they attempt to quit or go too long without the drug. This can encourage a return to unsafe drug use. To safely stop using teva 832, find medically supervised detox services near you . No matter your reasons for using this drug, rehab programs offer healthier, safer solutions for finding peace and joy in life.